Jay Pitter – Jay Pitter – Placemaker. Author. Communicator. Facilitator of urgent city-building conversations. Citizen of the City. Jay Pitter, MES, is an award-nominated author and placemaker whose practice mitigates growing divides in urban centres. She spearheads institutional city-building projects, rooted in neighbourhood knowledge, focused on: democratizing urbanism, transit equity, safe streets, healing fraught sites, and narrative-based public engagement. She also shapes urgent city-building conversations through media platforms such as the Agenda and Canadian Architect—as a keynote speaker for organizations like University of Detroit Mercy’s School of Architecture and Massachusetts Institute of Technology (MIT)—and as a knowledge producer in urban planning faculties across North America. Recently, Jay consulted on Edmonton’s new heritage plan; hosted a professional development luncheon for women city-builders in Detroit; initiated a safe and connected streets engagement following the mass shooting on the Danforth, and led (RE)IMAGINING CHEAPSIDE, a Confederate monument placemaking process in Lexington. How do we build cities where we aren’t just living within the same urban space, but living together? 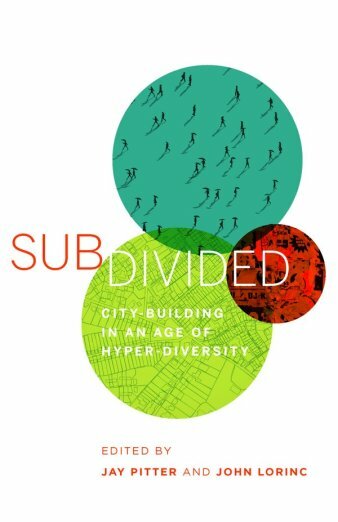 Subdivided aims to provoke the tough but pressing conversations required to build a truly connected city and is sparking important city-building conversations. Read an excerpt of Subdivided here. Purchase your copy at Coach House Books, Indigo and the Spacing Store. Housing prices in Toronto have continued to skyrocket, with the average the price jumping to nearly $678,00 in August. The Agenda examines the high-price of housing and asks: has living in a big city become a luxury? 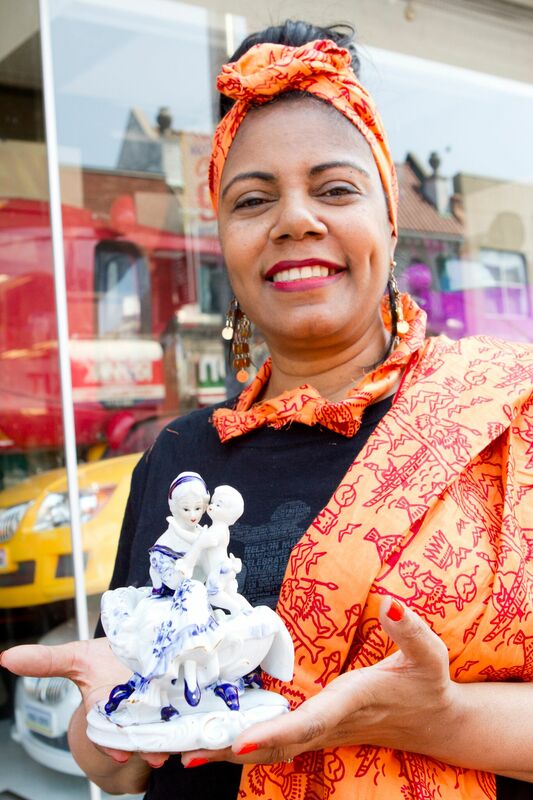 The Honest Ed’s Project is an inclusive cultural archiving initiative, which engaged community stakeholders historically excluded from city-building processes including newcomers, elders, youth, individuals living outside of the core and Indigenous communities. When the project launched in 2015, over 100 stories and personal artifacts were collected in one day. The most recent iteration was carried out in partnership with Westbank and Markham House: City Building Lab. "I live at the transitional house with other LGBT2Q youth that is a refuge for us. Feeling safe and welcome here is very important because many of us are rejected by our very own families. I’m worried that the new development may attract a privileged, less liberal group of residents who may not understand this and alienate us." 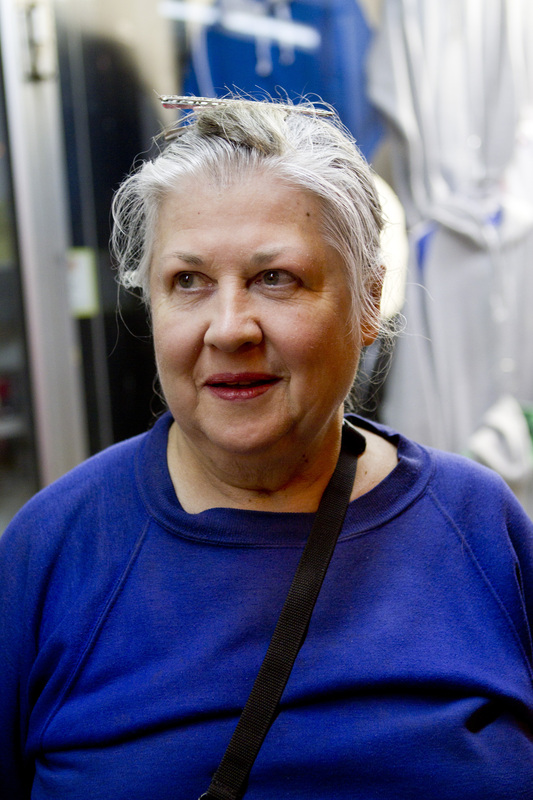 "I live on a fixed income and so I collect bottles in the local neighbourhood, cash them in, and purchase affordable food at Honest Ed’s. I hope the new development remains welcoming to poor people." 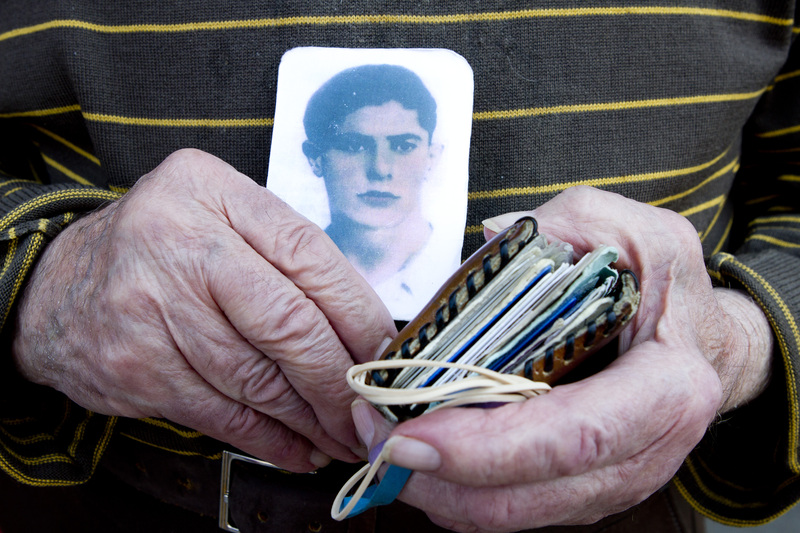 "I lost my entire family during the holocaust. When I immigrated to Canada and saw someone from the Jewish community running a thriving business, someone loved by everyone, it gave me the strength I needed to start a new life here." "I feel comfortable expressing my faith and personal style in this community. This is an important value that should be carried over in the new development." "One Christmas, I wanted to buy my mother a very special gift but I was a student on a budget. I popped into Honest Ed’s and found this piece and was so proud when my mother placed it right alongside of her prestigious Royal Dalton collection." While in Edmonton, Jay worked with staff from the City of Edmonton, City Region Studies Centre (University of Alberta), and the Edmonton Heritage Council. I cannot emphasize enough how valuable our consultation was with her. Jay shared many insightful placemaking principles and practices from her own work that have and will continue to improve engagement processes here. For example, she addressed: how to engage with hard-to-reach stakeholder groups, how to create space for uncomfortable or painful experiences without creating divisions between stakeholder groups, and how to demonstrate accountability to stakeholder groups. In addition to sharing insights, Jay is an active listener and is respectful of multiple perspectives. Her ability to identify urban issues while providing strategies and instilling hope in everyone is admirable. Jay’s authentic approach to leadership and inclusive city-building has inspired many people to find their voice, and plug their unique perspectives into conversations that need them. She is a brilliant public engagement professional, a dynamic speaker, and has deep knowledge of urban issues on many levels, including that of lived experience. Jay leads an annual session with our CivicAction DiverseCity Fellows around personal leadership context and identity. It is routinely considered one of the most transformative experiences participants receive over their year with us. She’s a huge asset to this city – a lot of fun, and one of the frontier leaders rounding out the edges of what’s traditionally been considered “city-building. How can cities realize their ambitions for inclusiveness and social justice? What are the difficult conversations we need to have and the hurdles we have to overcome to get there? 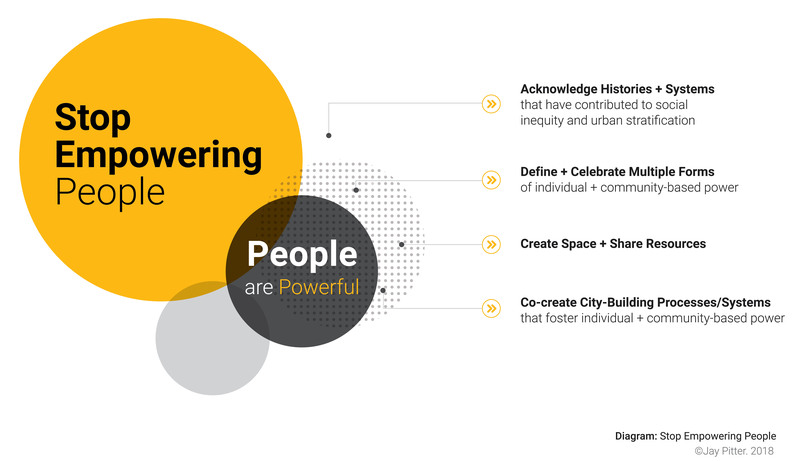 Through an energetic presentation combining expertise in urban planning, design and engagement with personal reflection and experience, Jay inspired an audience of urban professionals to be bold and optimistic in their ability co-create cities for everyone. We learned a lot. 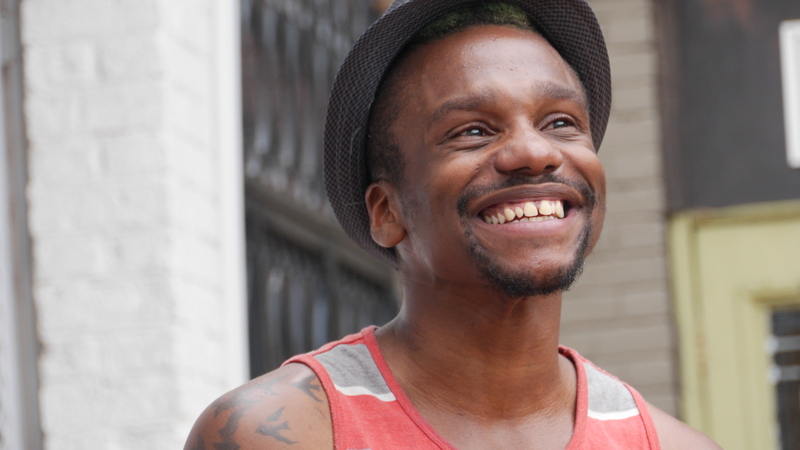 Jay Pitter has developed a unique approach to engaging communities, often using streets themselves as the locus of the conversation, and incorporating new media and digital storytelling. In this way, she has been able to build thoughtful dialogues with groups often overlooked or excluded from traditional stakeholder engagement, weaving together a range of stories and analyses to build new ideas around familiar places. Contact Jay to collaborate on a placemaking project, deliver a talk, develop public space policy, or lead an inclusive city-building professional development process.